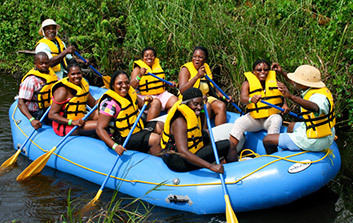 The adventure zone features fibre glass 2 person kayaks that can be operated by one or two persons. Patrons can go kayaking the length of the canal on the great morass, taking time to see the fish, birds and wildlife in the wetlands. This adventure requires the ability to swim and previous experience in kayaking. Approved life jackets must be worn by all on this ride. 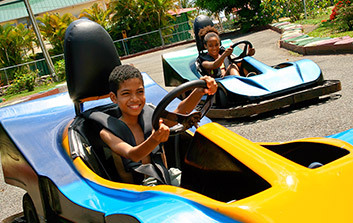 Kool Runnings Adventure Park features the only real go-kart racing experience in the west, featuring one person and two-person cars. The track encompasses 8 Formula K cars which guarantee to thrill. Height limit for the single person cars is 42 inches . Children who cannot make the height limit can ride in a two-person car with an adult. A NEW attraction! Electronic- infrared, hand held transmitters, called “markers”, are used to shoot electronic beams to tag targets worn by each player. The game is played outdoors in a simulated combat field, allowing individual or team play & can be as high energy as the participants dictate. Similar to paintball but painless and paint-less, this game appeals to a wide age group. The entire operation is high tech, computer driven and completely harmless, employing the use of the same infrared technology as an every day TV remote control. 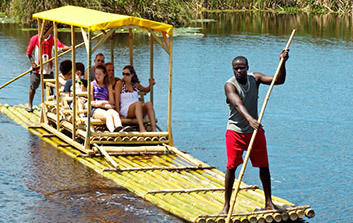 Jamaica has been famous for it’s two-person bamboo rafting on the Rio Grande & Martha Brae rivers, but now, Kool Running’s offers a new concept of “Family Bamboo Rafting” that can take up to six adults on a casual fling on a lazy canal through Negril’s famous Great Morass. Two & four person rafting is also available on this unforgettable encounter. Each boat is powered by one or two guides using traditional bamboo poles. Fourteen foot “KOOL KANOES”(inflatable rafts) are available to take a gentle cruise on the canal. Each boat can carry up to 8 adults & a guide who provides interesting facts & information about the wildlife & the Great Morass. Each adult rider is offered a paddle and is expected to assist in propelling the boat. 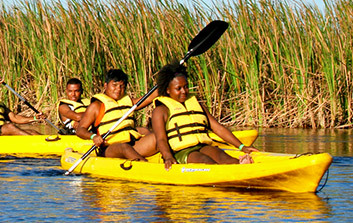 Each rider wears an approved life jacket although the boats cannot be capsized. 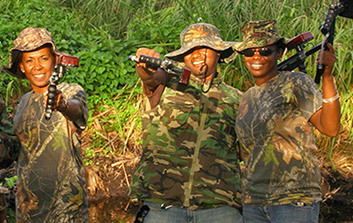 Paintball gaming consists of opposing persons or teams, using a shooting instrument known as a ‘Marker’ to tag each other with a projectile consisting of a small ball of paint. 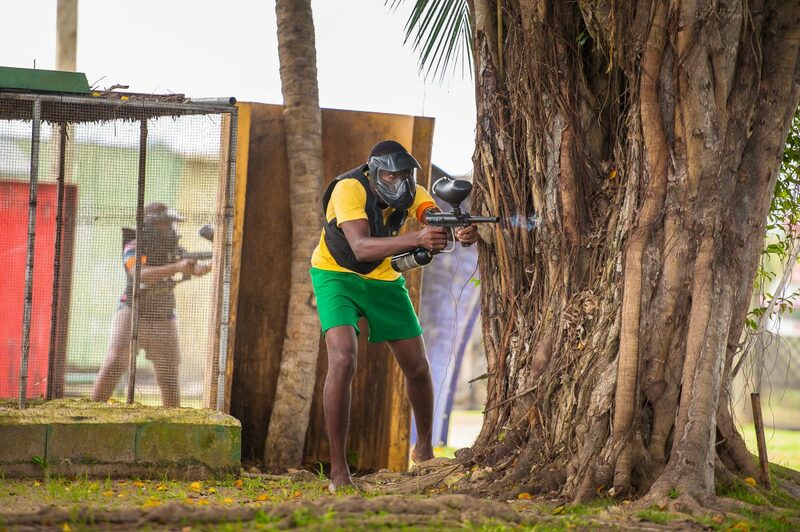 The paintball breaks on contact with the target & it leaves a coloured mark on the clothes or skin of the opponent. Once an opponent is hit, he/she is out of the game. There are many different games that are played, under the watchful eye of our ‘marshalls’ who regulate the game & see to the safety of the operation. 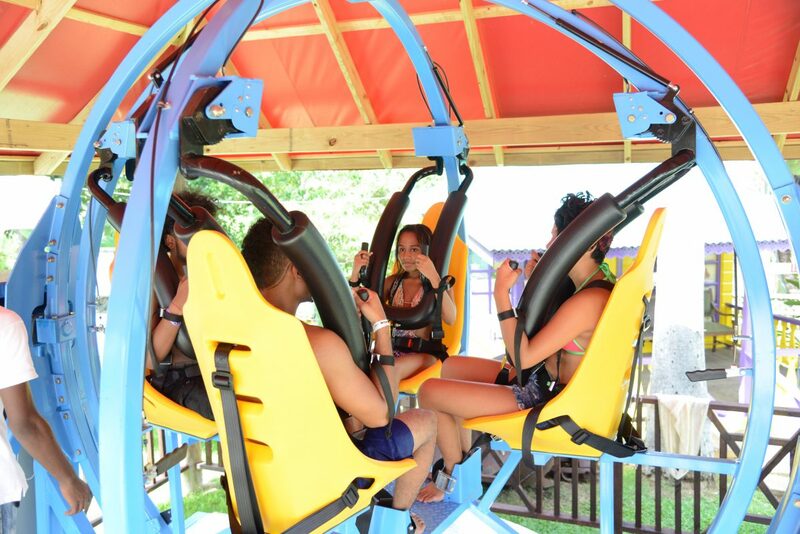 Test your astronaut skill this summer on our new, first of its kind, human gyroscope, which takes 4 people on the heart pumping gyrations experienced by astronauts in space. These gyroscopes are used by nasa in the training and preparations of candidates for outer space.